Well boys and girls, 2015 has been extremely kind to me so far. 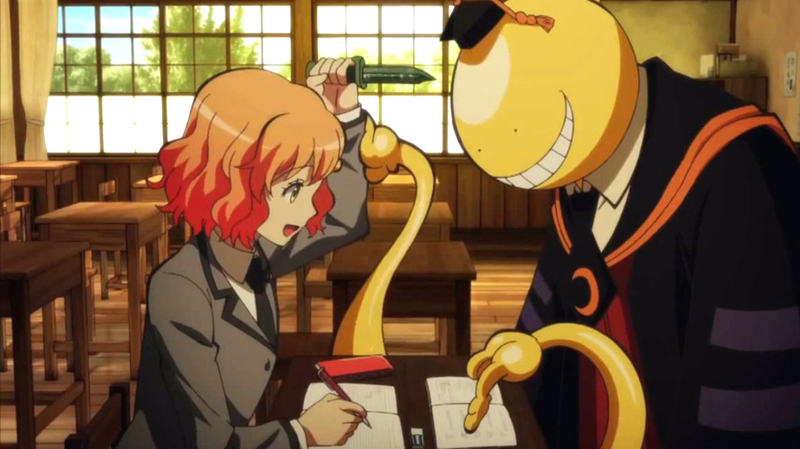 I’m excited and proud to announce that I have been cast as Hinano Kurahashi in the highly anticipated anime, Assassination Classroom. This has been such a fun project to be a part of and I can’t wait for everyone to see it. The series will be broadcast dubbed and aired on FUNimation‘s website starting this Wednesday, February 18th at 8:00 PM EST. This entry was posted in Anime/ Manga and tagged anime, Assassination Classroom, English Dub, FUNimation, Hinano, Hinano Kurahashi, Kristen McGuire. Bookmark the permalink.